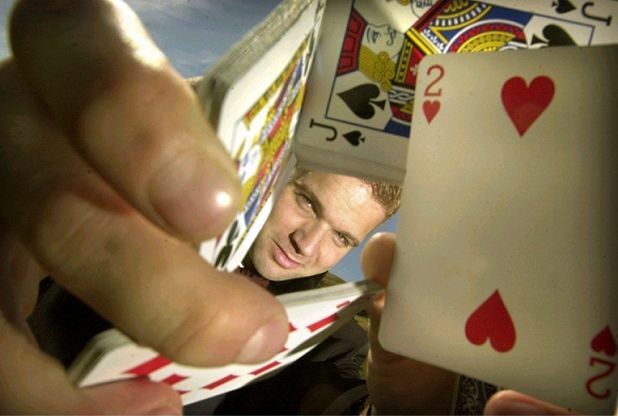 The first ever Edinburgh International Magic Festival, running between 7 - 11 July 2010, promises to situate the crowds 'inches away' from the action. Top illusionists, hypnotists and mind readers will descend, as if by magic, upon the city for five days of magic events on venues throughout the city, including a Gala show at Royal Lyceum Theatre. No sane person would say that Edinburgh lacks festivals. Recent years have seen the arrival of the Festival of Politics, The Storytelling Festival and the Festival of Marketing to the calendar still dominated by the International Festival, Fringe, Film and Book festival big guns. In terms of suitability as the location for a festival of magic, Edinburgh could be seen by many as ideal, due to the vast amount of hauntedness, ghosts and atmospheric architecture. From an audience's point of view, it's a given that showmanship inches away from your eyes is going to be a little bit more enthralling than the entertaining (or annoying) TV figures such as Derren Brown or David Blaine. So who have we got on the cards? The art of magic in the UK has changed since the days of Paul '300 lovers' Daniels and the wonderfully likeable Debbie McGee. Any viewers of BBC Three's Real Hustle will recognise con-artist and casino scammer Paul Wilson, whose skills far surpass the sub-channel's ability to showcase them. The same applies to TV Trisha’s Drew McAdam, aka ‘The Human Lie Detector’, who takes to the stage to demonstrate his unique skills of persuasion to predict and influence your thoughts, perfected and scarily honed from his days as an army intelligence officer. Crossing over to the 'other side' is Fringe favourite Xavier Mortimer, who combines music, juggling, illusions, tricks and comedy - now that is magic. Not only does it introduce us mere mortals to the world of sleight of hand, it also gives us some insight into the dizzying heights and we too can watch the celebrities favourite magiciains. For example, did you know that Ringo Starr’s favourite conjurer is Ben Woodward? Did you even know that Ringo Starr had a favourite conjurer? Along with all the mind reading, close-up, comedy magic and classic variety magic all making an appearance during the five day festival, audiences will be treated to magical movies, a magic school for kids and ‘War of the Wizards’, where the best amateur magicians will compete for honour, glory and even a cash prize - whether this cash prize is the result of over five year's worth of searching for coins behind people's ears remains unconfirmed. The Edinburgh International Magic Festival kicks off with a gala show of illusion, sleight-of-hand, circus and mind reading featuring many of the acts performing across the festival. Suspend disbelief with old-school magic shows for ages 5+, presented by Matthew Dowden and Xavier Mortimer. 'Part of Edinburgh International Magic Festival'.